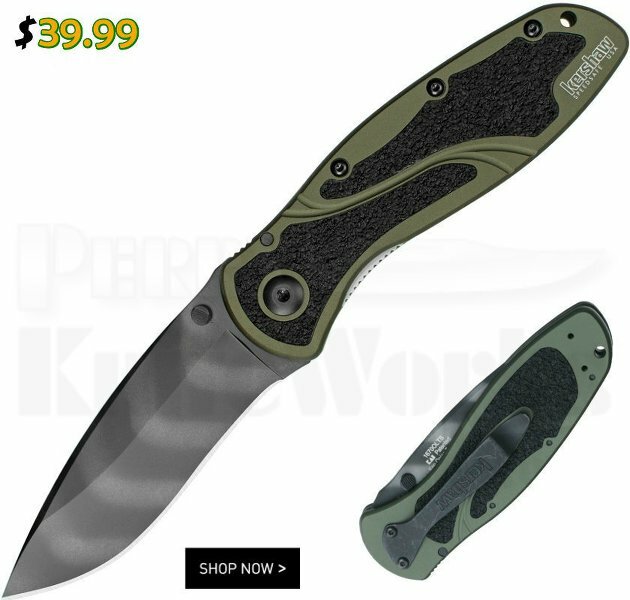 The Kershaw 1670 OD green Blur has a slightly recurved blade that?s ideal for multitasking, providing top slicing and piercing capabilities. The 1670OLTS OD-Green Blur has a black tiger stripe finish for a non-reflective look. For easy one-handed opening, the Blur is equipped with SpeedSafe assisted opening. A short push on the thumbstud overcomes the resistance built into the torsion bar in the SpeedSafe mechanism.